Receive the latest posts and exclusive Carolina Liberty PAC content direct to your inbox! Be a part of the grassroots liberty movement that's inspiring real change in North Carolina. We need donations, use the ezpay link. Become an event organizer and mobilize fellow citizens to action. Your volunteer efforts go a long way, no matter how large or small. We promote the ideals of fiscal conservatism and advocate the protection of your civil liberties. But we urgently need your support. *UPDATE* Rep. Larry Pittman was able to incorporate substantial amendments on the House side, including prohibitions on data collection. Action item: Petition Senators to PASS HB1061. House Bill 267 is still to be passed from the Senate side. 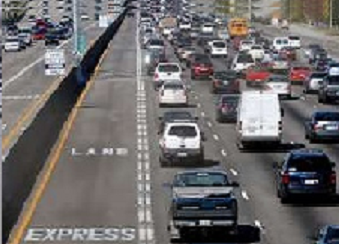 Contact Senate members to REJECT passage of the HOT lanes-allowing bill from Senate. Contact info for Senate members can be found here. Liberty activists! Heading to the polling stations tomorrow to inform voters about Greg Brannon for US Senate? Some strategy in electioneering can ensure that our energy is expended in a manner that does the most to further the state of liberty on the state level at the same time. Get the most out of your advocacy by choosing a polling location that also serves the constituents of a state-level constitutionalist candidate. Sharon Hudson House District 98, Mecklenburg County’s 3-way primary race will determine a Republican candidate for Thom Tillis’s NC House seat. Hudson is a grassroots candidate who has proven herself to be a vocal advocate of NC residents by taking a stand against the HOT lanes public-private partnership scheme pushed by House leadership (Tillis) last session. Her two opponents support and have advocated for the HOT lanes scam, making this election an easy choice for Mecklenburg County residents - as long as someone is at the polls to inform them! Get to the polls and let the voters know this vital piece of information so that we can avoid having another proponent of double taxation filling this important House seat. Michael Lavender Senate District 47, Madison, McDowell, Mitchell, Polk, Rutherford, Yancey counties. A crucial race for breaking up the Raleigh Cabal of cronies: Michael Lavender is challenging incumbent Senator Ralph Hise. During the last session, Hise sponsored a bill to give NC’s corrupt Democrat Treasurer more leeway for making risky investments from the teachers’ and state employees’ pension fund – expanding practices that have led to an estimated $30 billion (with a “B!”) unaccounted for and payouts to “Wall Street money managers” nearing an estimated $1 billion from the fund. The money missing from the fund will cause tax hikes for NC residents down the road when pensions come due. Hise also opposes restructuring pension management with the creation of a board of trustees; he advocates the continuation of a sole fiduciary system (keeping Janet Cowell unchecked in charge of management decisions), and as a member of a commission established to review the pension management structure, Hise helped author a minority report to express his opposition to greater oversight over federal programs like operation chokepoint opposed by EMS. It is for this reason that the State Employees Association (SEANC) has dubbed the Senator “Raleigh Ralph Hise” and dedicated substantial funding to his primary opponent. This election has no democrat challenger, so Tuesday’s winner will serve in the Senate. Help break up the Raleigh Cabal and protect NC teachers’ pensions by electioneering at a polling location for Michael Lavender. Ashley Bleau (pronounced like the color “blue”) House District 9 Greenville, NC: Another opportunity to help break up the Raleigh Crony Cabal. Incumbent House Rep. Brian Brown went to Raleigh and promptly turned against the people of his district by sponsoring anti-free market “game fish” legislation, a measure known to decimate coastal communities and completely eliminate the commercial fishing industry of the states in which it has been implemented. Proponents of game fish (making a particular breed of fish illegal to trap and sell) believe that the residents of North Carolina should not have access to our own local seafood, but should instead offer our commodities only to tourists who are willing to visit NC’s coast and catch it themselves, as this system will be worth more money to our state (yeah, right!). A representative who has shown that he is more concerned with this state of his campaign account than he is with the welfare of the people of our state is no representative at all. Ashley Bleau is challenging Brown for the seat. Bleau, a commercial fisherman and seafood restaurant business owner, advocated on behalf of commercial fishermen during Brown’s dangerous game fish hearing, proving that he considers the interests of NC residents to take precedence over outside special interests. If you would like to help electioneer for Greg Brannon, Walter Jones, and Ashley Bleau all on one ballot here is a contact for materials & information. Mattie Lawson Electioneering in NC State House District 6 (Outer Banks – Beaufort, Dare, Hyde, and Washington counties) will allow one to advocate for Greg Brannon, Walter Jones, and Mattie Lawson on one slate – and then celebrate election victory on the beach! Mattie Lawson is a constitutional TEA activist within the Republican Party and a strong proponent of 2nd amendment protections, government transparency and reform measures, lower taxes & a fiscally conservative balanced budget, and state-level nullification of unconstutional laws. Lawson has been vocal in her opposition to state implementation of Common Core, Obamacare, and UN or other federal unconstitutional intrusions upon states. NC D6 has a republican-minded population currently represented by a democrat. Lawson won the Republican primary for this seat during the 2012 election, but was narrowly defeated in the general election, losing to Democrat Paul Tine by only 458 votes out of over 41,000! Her since-increased name recognition and Tine’s failure to be an advocate for the residents of the Outer Banks on the issues most affecting them will certainly result in a win for Lawson this general election, but she must first get through the primary election this Tuesday. Larry Pittman District 82, Cabarrus County. Incumbent Rep. Larry Pittman has proven that he will advocate for the people of his district. Pittman pushed for a full repeal of Common Core (though the other NCGA legislators opted instead to form a committee to “study” the idea), he has advocated for the protection of NC residents’ 2nd amendment rights, and he has been a proponent of state nullification of unconstitutional federal laws. NC residents cannot afford to lose this stateman; he’s been working for us so let’s return the favor – get to the Cabarrus County polling stations to let voters know what a true citizen representative Larry Pittman has been. Who have I forgotten? Feel free to leave information on other local liberty candidates who are facing primary elections in the comments below! The “I will not succumb to bribery” pledge. I will not accept federal dollars through my office in exchange for my vote or my influence over legislation or public policy, nor will I cede my vote on any piece of legislation because someone else has accepted federal dollars, even if the legislation in question is that which I might otherwise vote to approve. I acknowledge that passing legislation in exchange for money amounts to an abdication of authority and selling my vote. I also acknowledge that allowing campaign contributions to influence my vote or the exercise of my powers of office is a violation of North Carolina’s legislative code of ethics per GS120-86, GS138A-31, and GS138A-33. I accept this pledge and do so freely and without reservations, so help me God. This pledge is particularly necessary of any upcoming NC House Rep at this time with the formation of NC’s new Public-Private Partnerships Committee aka the Committee on Money Funneling. One very prominent example of a public-private partnership in action is the partnership between Pearson Corporation and the State of North Carolina, which was solidified with the writing of Common Core mandates into North Carolina General Statutes, under Speaker Tillis, in exchange for federal dollars. 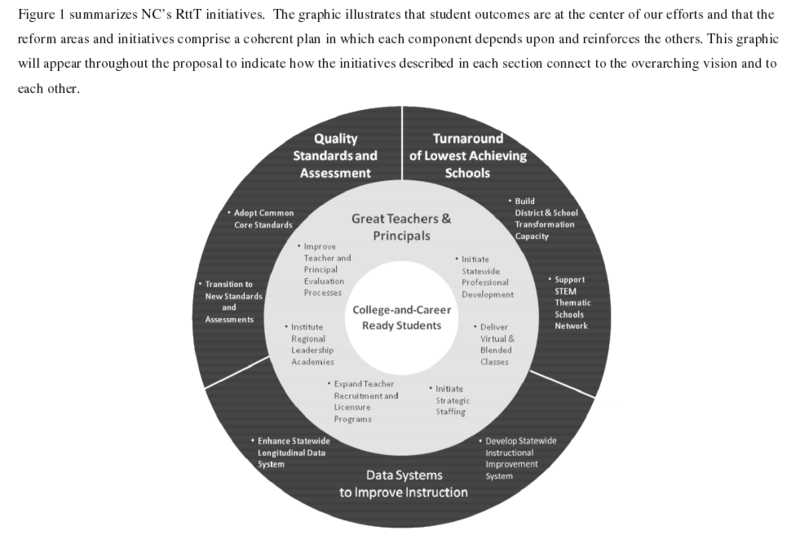 The state of North Carolina was not required to place Common Core into our statutes in order to implement them, they were actually already being implemented, and the State Board of Education is able to make decisions on education standards without the copyright product being in our statutes; however having Common Core in the statutes now prevents the State Board of Education from being able to reverse the decision to use Common Core even if they wanted to. Understand: the children of North Carolina have been sold out for federal dollars. How is that for representation? When Obamacare bribe money was accepted by Gov. Bev Perdue under the terms that North Carolina would develop a state-run healthcare exchange, after uproar from constituents, the North Carolina legislature sent the money back to the federal government and refused the terms. The same should have been done with Common Core, but unfortunately not enough constituents were aware of the situation at the time. mooremom on Common Core Study Committee Members Delaying Substantial Action?